James Hal Cone was an advocate of Black liberation theology, a theology grounded in the experience of African Americans, and related to other Christian liberation theologies. In 1969, his book Black Theology and Black Power provided a new way to articulate the distinctiveness of theology in the black Church. 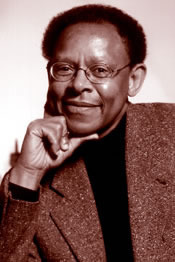 James Cone’s work was influential and political from the time of his first publication, and remains so to this day. His work has been both utilized and critiqued inside and outside of the African American theological community.